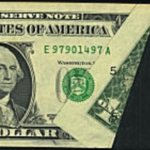 Brian M. writes: I have a 1957 Douglas Dillon $1.00 silver certificate dollar bill. Can you tell me the estimated value of this bill. 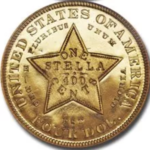 A recent coin show on t.v. stated the silver certificate was valued over $5000.00. Please advise, Brian. 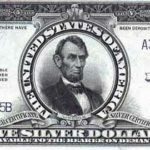 Dillon’s signature appears on the 1957A and 1957B silver certificate and these are currently valued at face, that is one dollar, unless they are uncirculated in which case they would bring about $3-$4. I have never heard of a Dillon signature on a 1957 note without a series A or B letter next to the date. The 1957 note has the signatures of Priest-Anderson. 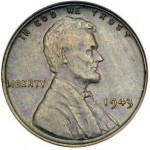 Generally the series letter changes if there is a change of Secretary or Treasurer or a minor or major design change. The signatures changed in about 1960 to Smith-Dillon making the series change to “1957A” and then again later to “1957B” with the change of signatures to Granaham-Dillon. It might be possible to have an error where the signatures were changed but the series date remained the same for a short time, maybe one sheet’s worth until the printing was stopped and the error plates destroyed. I haven’t heard about such an error but I guess that is conceivable. Such a note would be worth a substantial premium if it was authentic. You would think that thousands or even millions of notes would exhibit this error, if it existed, and it would be documented somewhere. I will look for any reports about this note. How might such a note be created. How was it determined that it was worth $5,000. 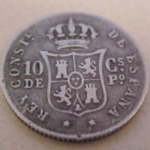 What's the origin of my 1786 gold coin with the head of "CAROL III"?I cleaned and polished tarnished coins - did I ruin them? How do I tell the difference between small and large date 1970 proof set?